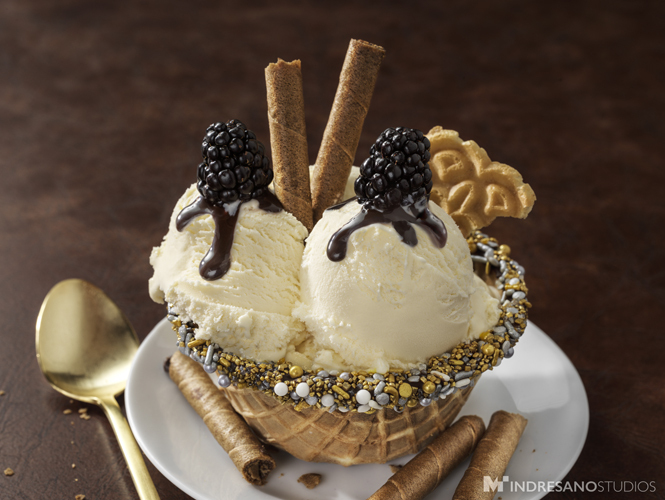 We keep trying to satisfy our sweet tooth with ice cream photography, but we can never get enough. 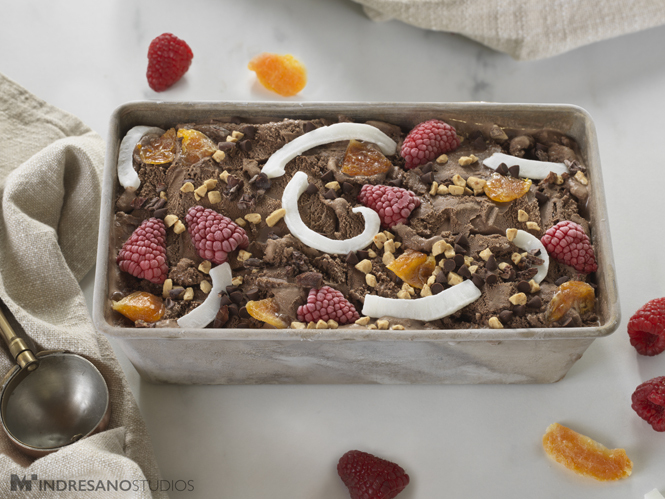 Check out images from our most recent ice cream photo shoot below! 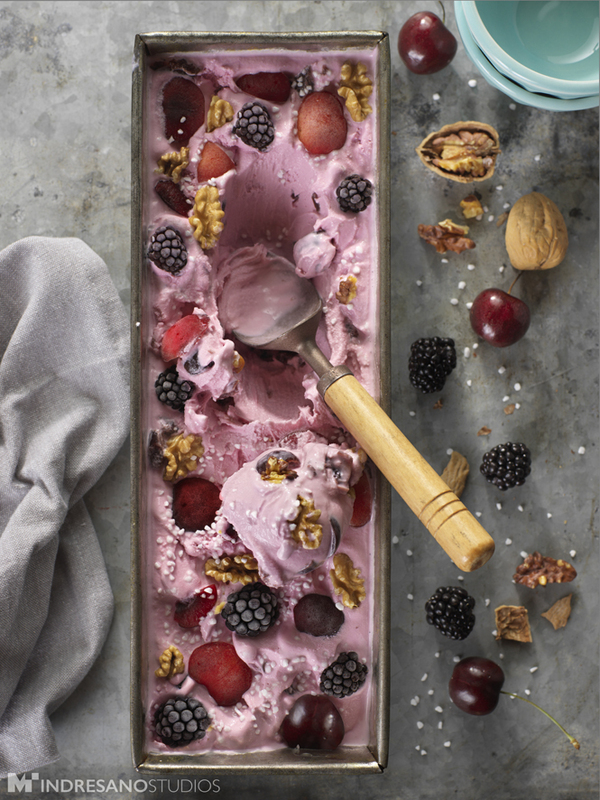 If you have to get your daily serving of fruit, you might as well put it in ice cream 😉 It’s healthy and delicious. Indulging in your favorite ice cream toppings has never been so easy. 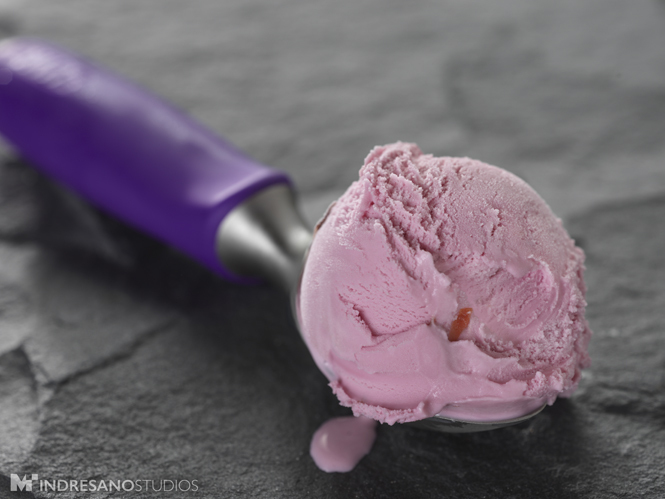 This cherry jubilee ice cream scoop is melting quickly in the summer heat- better eat quick! 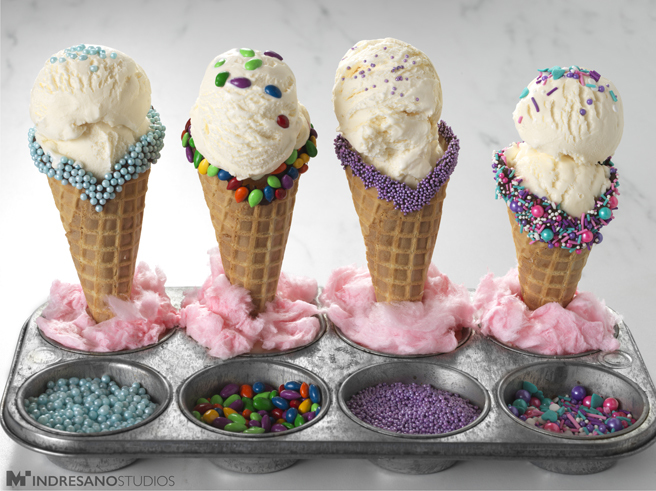 We do not know how the ice cream stylist resisted eating this whole tray before we photographed it- talk about self-control! 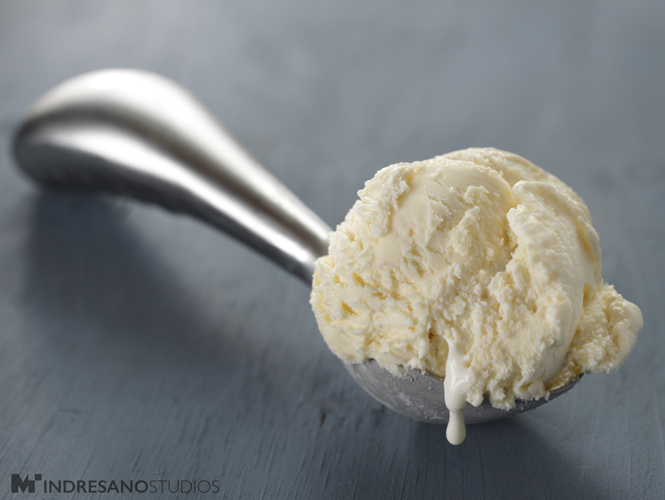 You can never go wrong with a simple scoop of vanilla ice cream!